We offer a variety of pre-payment programs so everyone can choose an affordable trust plan made especially for themselves. We can explain these trust programs along with details about Veterans and Social Security Benefits at our offices or at your home. We also make pre-arrangements at no cost to those who simply want the information on file. There are two kinds of trusts that may be purchased. 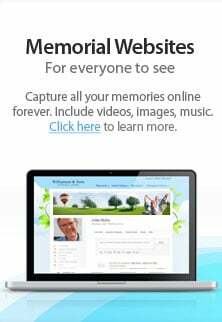 They are administered by our funeral home, Connecticut Funeral Director's Association and Interment Trust Services of Chicago, Illinois. This is a trust that any amount of money may be deposited into. At anytime you may ask for this money and the interest it has made. At the end of the year you will receive a 1099 statement on which you must pay taxes on the interest as it is considered income. This trust is most commonly purchased by someone who eventually might need care in excess of their assets. For example, longtime convalescent care for which their assets could be depleted and they need to apply for Title XIX. Once purchased, it can be used for burial purposes only. The state allows up to $8000.00 to be set aside in this trust. All fees and taxes are taken out at the end of the year by the Interment trust. The interest is declared directly to the IRS by the Trust and does not have to be declared on an individual tax return. This trust can be started for any amount. It may be added to at any time up to a total of $8000.00. Interest that accrues does not count toward the $8000.00 limit, nor does it affect eligibility for state assistance under Title XIX. This trust can be opened along with an Irrevocable Trust for any amount that the family decides to set aside to help cover costs that go over the $8000.00 limit for that Irrevocable. Typically, it is used to cover any of the costs associated with specific burial costs. A trust may be moved to another funeral home with the proper authorization. The funeral home that originated the trust is allowed to take up to a 5% fee if such a change is made.